Works No. 3593 Reg. No. KE 3865. This engine was new to C Tassell of Chatham. It was sold to Scott's sawmill in 1919 who used it to drive the saw mill by day and haulage of finished timber to London overnight. It was sold to Kemp Bros. of Rainham in 1927 who used it for general haulage. Its working life finished in the mid-1950's.Once owned and extensively rallied by the late Steve Neville. It is now owned by the Honour family, who in 1996 had fitted a new boiler, smokebox and firebox. It was completely repainted in 1998 to the original specification, complete with gold leaf. 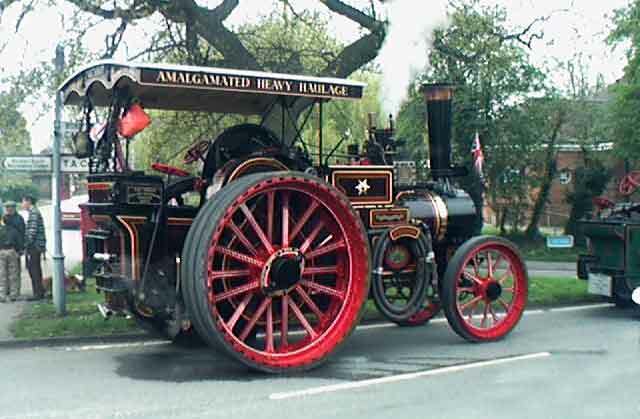 The Duke of Kent mad its first visit to the Steam Up and Road Run, April 2000.